Kasey Kahne arrived Pocono Raceway riding a wave of momentum after his win in the Brickyard 400 last weekend. LONG POND, Pa. — Kasey Kahne was busy celebrating his win in the Brickyard 400 and missed his team owner state plans are not set for the No. 5 car next season. You know, Kahne’s ride. The one he’s under contract to drive in 2018. ‘‘I didn’t hear that until I got home,’’ Kahne said. But there was little need for a spoiler alert warning on team owner Rick Hendrick’s news. Kahne’s future driving the No. 5 Chevrolet beyond this season remains murky, even with his milestone victory at Indianapolis Motor Speedway. He made the traditional kiss of the bricks and spent the week celebrating with friends and his crew. His team even lined up some bricks back at the team shop and let employees who didn’t make the trip pucker up and kiss ‘em. His losing streak was over. Some of the angst over his middling season evaporated, too. Is one win at the Brickyard really enough to save his job? Kahne’s fate has been in limbo for most of the season because of run-of-the mill finishes and sponsorship woes. Farmer’s Insurance bailed on Kahne and Great Clips also cut ties with the driver. Great Clips was actually signed as the primary sponsor for 10 races annually through the 2018 season. But that deal ended early — and so could Kahne’s run with Hendrick. William Byron, the 19-year-old sensation and Hendrick prospect, has dominated the Xfinity series and will join Jimmie Johnson, Chase Elliott and Alex Bowman in the four-car stable next year. Without that needed infusion of sponsorship dollars, Kahne could be elsewhere in 2018. But there are few quality options. Richard Childress Racing saw Paul Menard leave for Wood Brothers Racing and there’s no guarantee RCR’s third entry will be filled in 2018. Stewart-Haas Racing could have openings if Danica Patrick and Kurt Busch leave. Matt Kenseth, the 2003 champion, also is on the market because Joe Gibbs Racing replaced him in ‘18 with Erik Jones. Kenseth said he’s had no serious talks with another team. ‘‘Nah, not really,’’ he said. Kenseth, though, won a combined seven races in 2015 and 2016. 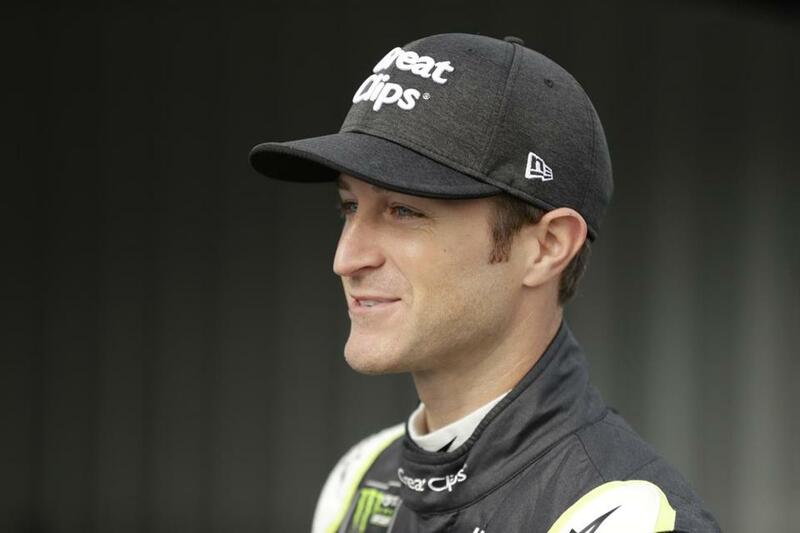 Kahne’s losing streak stretched 102 races. ‘‘We haven’t had wins out of that shop in a while,’’ he said. Almost three years — a stunning dry spell for once one of the top young drivers in NASCAR. He won as many as six races in 2006 driving for Ray Evernham and finished as high as fourth in the standings in 2012 driving for Hendrick. He won two races in 2013, won Aug. 31, 2014 at Atlanta Motor Speedway for career victory No. 17 and then — nothing. Kahne slumped and had back-to-back winless seasons for the first time in his career. He opened this season with a seventh-place finish in the Daytona 500 and was fourth in Atlanta and seemed to show he might have returned to form. But his success was just a flicker and he crashed out of five races and failed to finish better than 15th in the nine races leading into Indianapolis. Kahne overcame scorching heat, painful muscle cramps and a grueling, crash-marred, six-hour marathon to win at Indy. He has two career wins (2008, 2013) at Pocono Raceway and a third could make a decision for Hendrick that much tougher. Kahne reveled in the spoils of victory. He’d rather enjoy some job security.